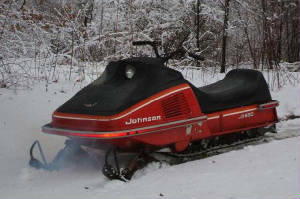 Johnson, Evinrude and Snow Cruiser, we love them all. This site is dedicated to serving the needs of all OMC snowmobile fanatics. From history to restoration and with help from OMC fans we hope to become the premier OMC snowmobile resource on the net. We welcome all site users to submit tech and history articles as well as pictures of any and all OMC sleds. Please submit any information you have on OMC sleds. Your contributions make us better!